Twenty-year-old Raheem Sterling has reiterated his desire to leave Liverpool Football Club after rejecting a £100,000 a week deal. Sterling, who still has two years of his current deal remaining clearly stated, in an exclusive interview with the BBC that the reason for rejecting the contract that the Merseyside club offered was not because he is a “Money-grabbing 20-year old” but the fact that he is hungry to win trophies and play in the Champions League, something he feels he would not achieve at the Merseysiders writes Mubeen Suleman. There is no doubt about the talent that Sterling has to offer, whether he stays put at Liverpool or joins another club, but he still is nowhere near the finished product. Wage demands: Sterling is demanding a weekly salary equivalent to former team-mate Steven Gerrard, difference is Gerrard was once a world class player (regardless of what anyone says) who had to show his worth before being offered shed loads of money. 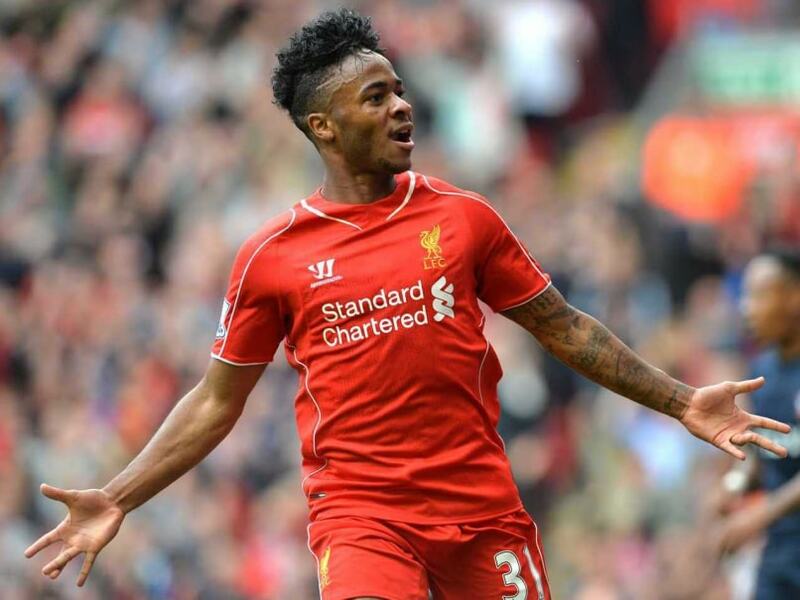 Sterling has not fully justified himself yet, when he does he too will reap the rewards. Regular playing time: Sterling is bound to get plenty of playing time at Anfield, even if his form does dip. He did not hit the heights of the 2013/14 campaign last season but Brendan Rodgers still stood by him and played him. Whereas, a poor performance at say, Real Madrid could see him dropped for the next match which could damage his confidence. Team Selection: Sterling is attracting interests from several top Premier League sides, but Liverpool would be crazy to sell him to a rival, unless a staggering amount of money was on slammed down on the table. Real Madrid, who are also pursuing the England international, would have squad selection dilemmas, whoever the manager is next season at the Bernabeu. Sterling who expresses he wants to play as a centre forward, would have to compete with French international Karim Benzema. Sterling or Benzema? Development: Raheem Sterling will only get better and better. He needs to realise that to get consistent time on the pitch at top clubs like Barcelona, Real Madrid, Man City, Man Utd, Chelsea his ability and form has to be on the same wavelength as Aguero, Hazard, Rooney, Suarez and more. I’m afraid at the moment he is not at that level, BUT he can be, if he stays in Merseyside and allows Liverpool to help him turn into a sensation. Having said all that the choice lies with Sterling himself, make the right choice and he will be a star in the making, make the wrong one and the regret will eat away at him for the rest of his life.